This week has been quite a productive week, and by practising and working on the online tutorials, I have been able to develop my understanding of the software much further. 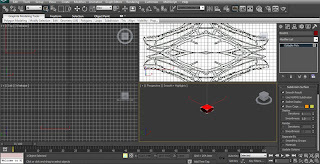 I am finding this software a really interesting concept of producing designs really interesting and the end results once a design is completed is really intriguing. 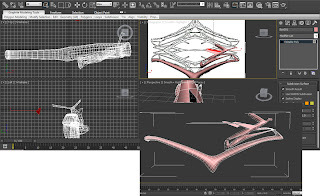 I have found a reference from the online tutorials which enables you to translate a 2D design into a 3D design, which has helped me greatly in furthering my design development and understanding. ning for the interior market, particularly lighting. 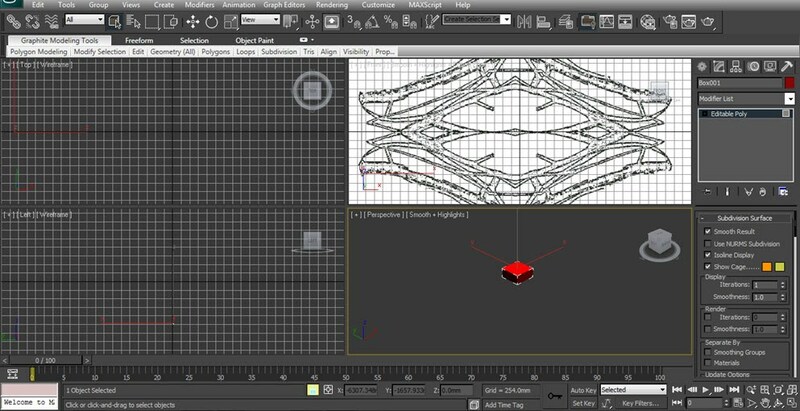 The following screen captures and progress explain and show how my initial ideas have been translated into a design for either lighting or an actual light bulb construction. To work over a 2D design to create a 3D design can easily be achieved by importing the original image into 3D Studio Max. We can see how the image now appears in the top view perspective window. To position the image in a different window, then simply the window you desire needs to be selected first before inserting the image of your choice. Next I drew out a box and positioned it at the bottom left hand side of the image. 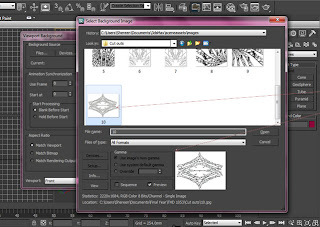 To begin editing with this box I needed to convert it to an editable poly, therefore following the steps explained previously to create an editable poly, I began the editing process. Using the extruding tools in the editable poly feature, I began following the design contours, extruding and rotating and editing sections to replicate the imported design. We can see how it is starting to take shape now. It’s quite difficult to get things exact to the shape you want, however this process works really effectively. You can see the 3D construction beginning to take shape from the perspective view window. 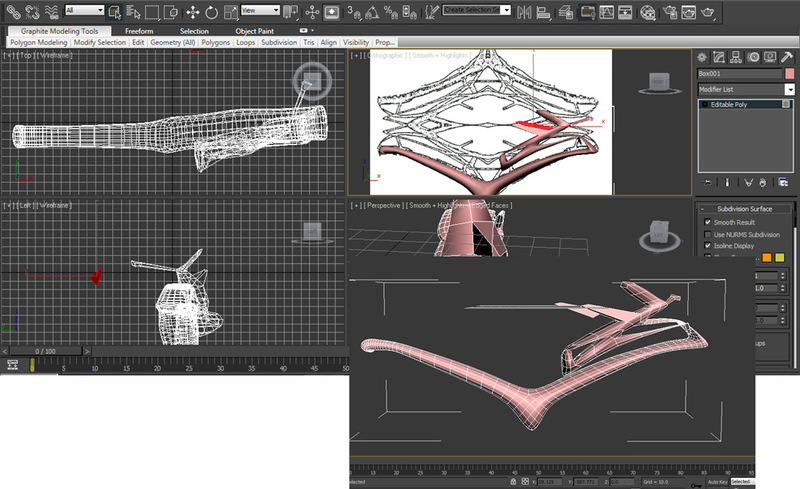 The following screen captures show the various design developments of this original object, and how experimenting with composition can change the overall design aspect of the object. 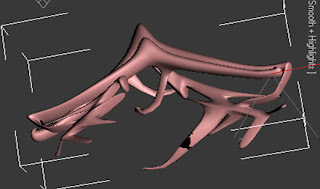 The structure here reminds me very much of bones, it is quite sharp as a design, and will need further development if to be designed for lighting. I really like this design personally, and like how the build-up of layers all works really well and effectively here. I could really see this design being used as a construction for a light bulb, looking into the concept and changing the design market for creative light bulbs.